← Never let them see you sweat! 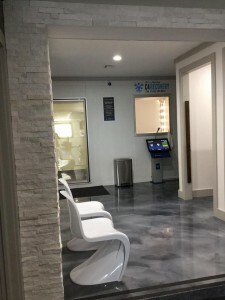 Disclosure: Through my relationship with Press Marketing, I was given the opportunity to experience cryotherapy at USCryotherapy in order for me to provide my honest opinion on the experience. The opinions expressed here, however, are entirely my own and based completely on my own thoughts and experiences. Do you think Disney’s Elsa would have enjoyed a chilling -180° F temperature? After all, she lived in an ice palace and the cold never bothered her. Whether or not she would have braved the bracing cold, I’m proud to say I survived my adventures. US Cryotherapy in Tampa and Press Marketing graciously indulged my curiosity and adventurous nature last Saturday, experiencing both their cryotherapy chamber and cryo facial. I’ve wanted to try this for quite some time, not only because I’m generally inquisitive, but because I have a few aches that I wouldn’t mind relieving. What is cryotherapy exactly? Cryotherapy is a “cold shock” therapy mostly used for treatment of pain. It’s commonly used by athletes to treat injuries as an alternative to cold water immersion and ice packs. Many have also found it helpful after surgeries or strenuous activities, and some to increase metabolism to lose weight or produce collagen to counteract aging. How does it work? When the body is exposed to such intense cold, it goes into survival mode increasing and relaying nutrient-rich oxygen back to vital organs, basically switching out bad blood for good blood. The intense variance in temperature permits the exchange of bad toxins replacing with oxygenated blood and nutrients to speed up the healing process. The cryo chamber itself is a small room, or chamber, filled with refrigerated air and dropped to a brisk negative 180 degrees. 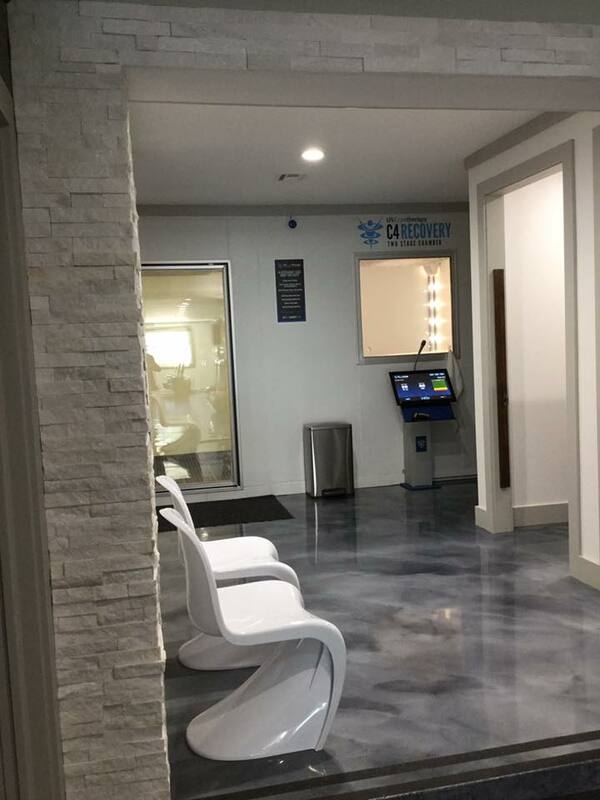 Some cryotherapy facilities use nitrogen gas to chill the air, however, USCryotherapy utilizes a patented method where only refrigerated air is used. Chamber sessions are monitored and last no more than 3 ½ minutes, with doors remaining unlocked so you can leave when you want or need to. The cryo facial is a localized rejuvenation treatment that uses a controlled stream of cold air in 6-8 minute sessions. The air is applied through a long tube by one of the techs in circular motions several times across your face over the forehead, cheeks, nose, chin and lips. My experience. I have to admit, the first attempt in the chamber was a bit of a shock. Not only was it beyond Arctic cold, but since there is no moisture and no pressure, breathing was a bit more challenging as the air was heavier. But Jeff and Kevin helped me with some breathing techniques by helping me focus on slowing my breathing and using my hand mitts to cover my nose, heating up the air before I breathed it in. After exiting, my skin temperature had dropped from 86° to 47°! Yes, it was cold, but I survived and truly felt invigorated afterwards. When I began to warm up a bit from the chamber, I headed to the recliners where Kevin tilted me back and performed the facial. Though I did get a bit of a brain freeze when he applied across my forehead, it wasn’t unbearable and I was able to let Kevin know when the pressure was a bit too much so he could lessen the air stream as he worked around my face. Afterwards, my face echoed a nice blushing color from the excited blood bouncing around. Would I go again? I’d definitely consider it if suffering from an injury or healing from surgery. 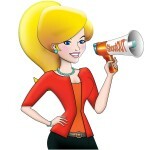 Interested in trying it out? Here are some helpful tips. Wear workout clothes (yoga pants, bike shorts), a tank top, loose shirt, or sports bra. Face masks, mittens, ear muffs, and slippers are all provided on-site to keep your extremities protected. Always check with your doctor before trying any new treatments. So would Elsa enjoy the frigid temperatures? Am thinking the -180 degree temperatures would be right up Elsa’s aisle. Maybe that’s how she’s remained so radiant and youthful. Deepest thanks to Jeff, Mark, Kevin, and Dillon at USCryotherapy Tampa and Press Marketing for making this unique experience possible. This entry was posted in Blog, To Do and tagged cryo chamber, cryo facial, inflammation, pain, press marketing, sports, tampa, USCryotherapy. Bookmark the permalink.